What's Coming Next from Sarina Bowen? This has been a really big year for new releases. What a whirlwind. And I'm going to need some time to catch my breath! But that doesn't mean there won't be more new books, soon. Book four belongs to Bella, who is an unabashedly scene-stealing secondary character from The Understatement of the Year. She just leapt onto t he page, fully formed. This book has a title! If you're curious, I've posted it on the series page. Pub date: some time in 2015. Book five will feature a secondary character from Bella's book. Pub date: some time in 2015. The Gravity Series will round at at three titles! Book two is Falling From the Sky, which is currently part of a Harlequin-e box set. On December 1st, it gets its single-title launch. 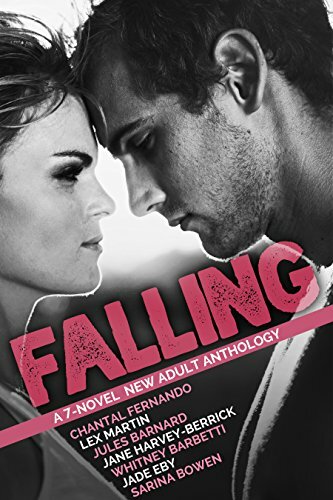 Falling From the Sky features Hank "Hazardous" Lazarus, a tatted up bad-boy snowboarder alpha hero. And I just love him to death. Book three is titled Shooting for the Stars, and follows Hank's pro-snowboarder sister, who manages to have a really ill-timed fling with Hank's best friend, Bear. Heartbreak ensues. Pub date: early 2015. AND: an anthology. The Year We Fell Down is part of the FALLING anthology. For a (very) limited time, these seven books are just a buck. Meet me in Fort Lauderdale?